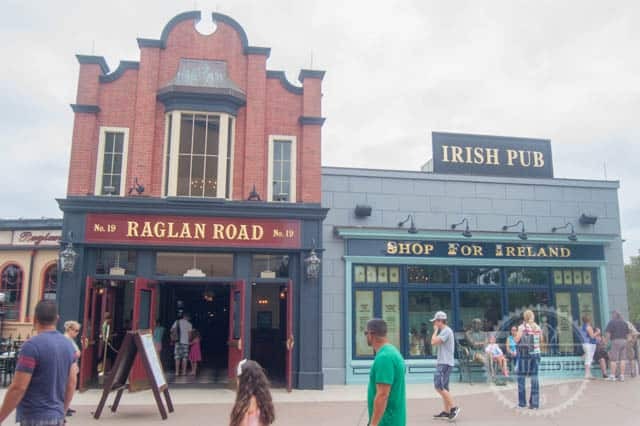 There’s nothing more Irish at Walt Disney World than a trip to Raglan Road Irish Pub. 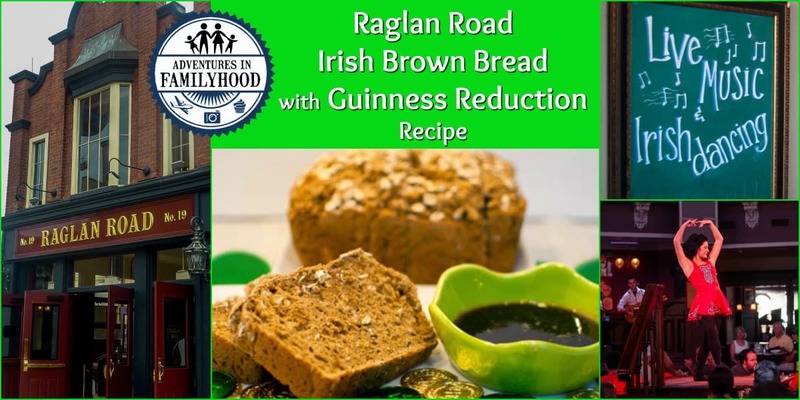 They are famous for their Irish Brown Bread with a Guinness Reduction. 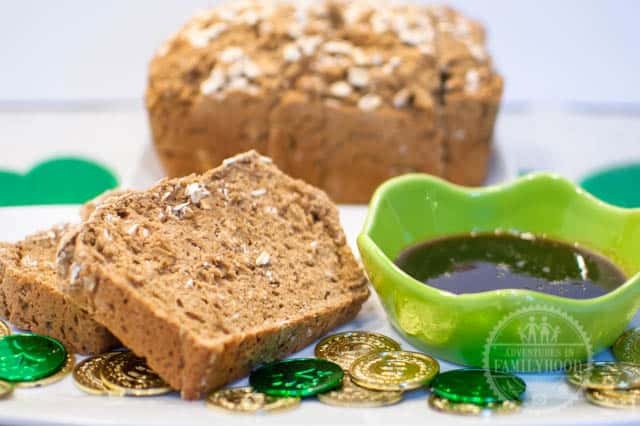 You can bring a little Raglan Road home with you this St. Patrick’s Day (or anyday) by whipping up this great recipe. We had the chance to visit Raglan Road Irish Pub for their “Rollicking Raglan Brunch”. Before our breakfast was served, we were treated to a basket of Irish Brown Bread. 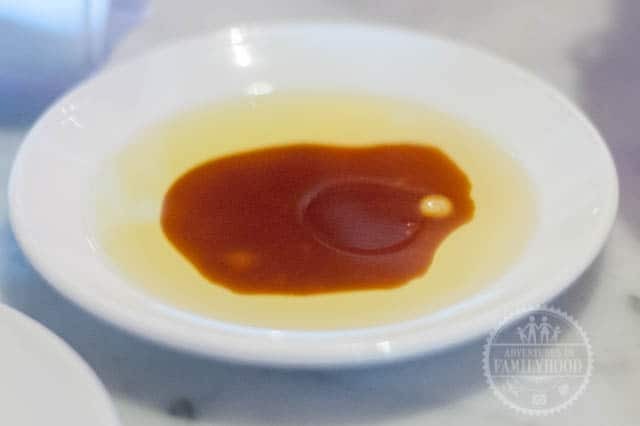 The bread is paired with a sauce that is a combination of a Guinness and sugar reduction with olive oil. You could also smother a slice with butter. The bread had a crunchy and flaky crust while the center was soft and chewy. It was the perfect start to our meal. Now I’m not Irish, unless you count by marriage. I do, however, enjoy a good Irish jig or a spirited rendition of “The Unicorn” by the Irish Rovers. I never thought that I would attempt making Irish bread at all, let along from scratch. But to my surprise, it’s not that hard to make. In fact, within an hour, I was done! Before I give you the recipe, check out Disney chef Kevin Dundon from Raglan Road making a batch. 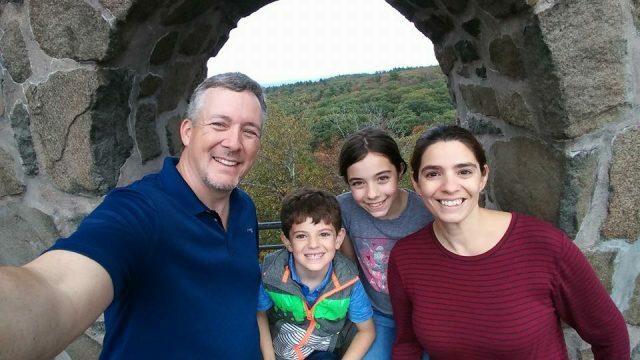 You’ll see just how easy it is to make. The recipe I used said it made one 3 lb loaf, but I found you could easily get 2 loaves from the recipe. It could also be adapted to make one loaf. Simply divide the measurements in half. Butter a large loaf pan or several small loaf pans. In a large bowl, combine dry ingredients; flours, 1 cup of oats, salt and baking soda. 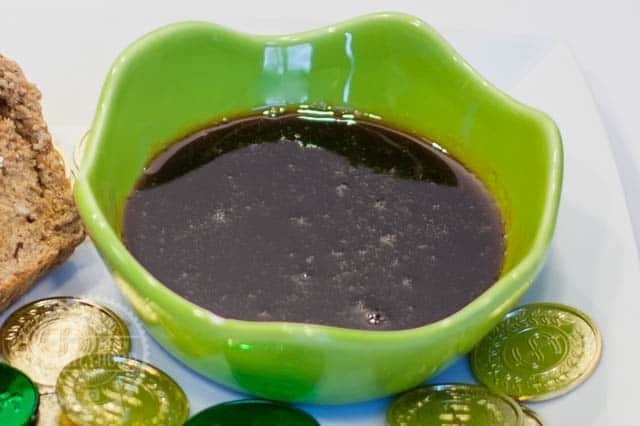 In a medium bowl, whisk together wet ingredients; buttermilk, Guinness and molasses. Add buttermilk mixture to flour mixture a little at a time, folding as you go, then using your hands, until you have a sticky dough. Transfer dough to prepared pan/s. 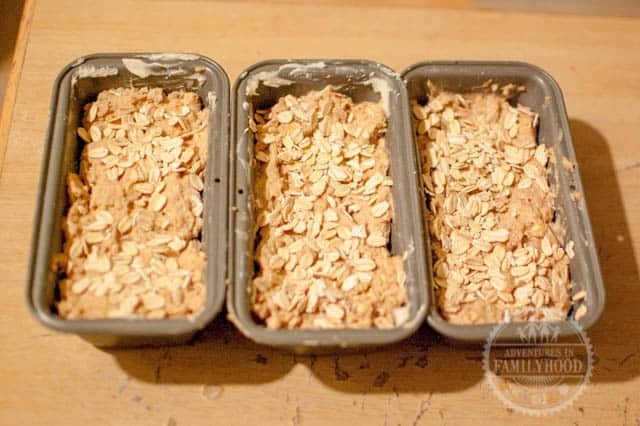 Sprinkle the remaining 1/2 cup of oats on top of the dough, pressing slightly to stick. Bake large loaf for 40-50 minutes and small loaves 20-30 minutes until golden brown. You’ll know it’s done when the bread makes a hollow sound when tapped on top. While the bread is cooling, prepare the reduction. pot unattended while it is coming to a boil, as it may boil over. with 1/4 cup Guinness Reduction. 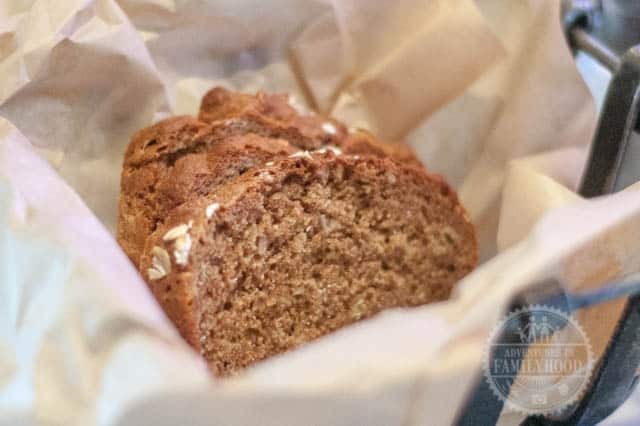 Heading to Walt Disney World and want to enjoy the a meal at Raglan Road? Check out their website here. You can make reservations through Open Table or Walt Disney World’s Reservation System. I adore this bread. Definitely trying this recipe out soon! It's so good! 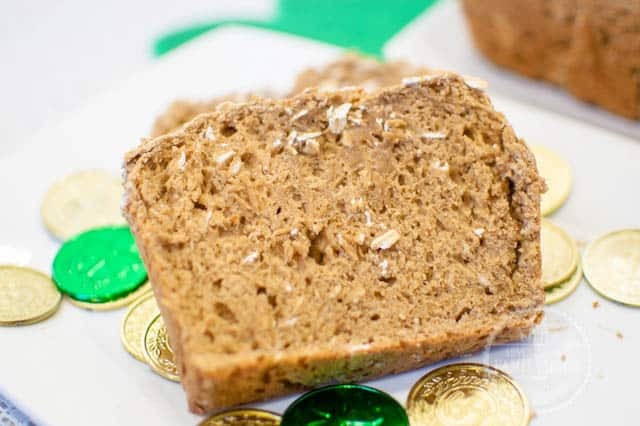 I'm so happy the recipe made a lot so I can still enjoy it long after St. Patty's Day is over!